We are honored and delighted to announce that Lowell Custom Homes was again awarded as the “Best Of Design” and “Best of Customer Service” by the Houzz community. Houzz is the leading platform for home renovation and design providing homeowners with everything they need for inspiration and information about home improvements large and small. This makes 4 years in a row that we have received special recognition from Houzz. 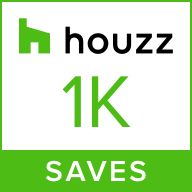 Over 40 million monthly unique users that comprise the Houzz community helped us achieve this special recognition from among more than 2.1 million active home building, remodeling and design industry professionals! The Best of Customer Service Badge is based on several factors including the professional’s overall rating on Houzz and client reviews submitted in 2018. The Best of Design Badge is awarded when the photos of projects done by professionals have become among the most popular on Houzz. One of our most admired rooms was the result of a stunning remodel in the Lake Geneva, Wi area. To see this entire project just click here. We invite you to browse through all of our Houzz portfolios to see our projects. We would be delighted to have even more of our photos saved to your personal Ideabooks on the site! Thank you Houzz from all of us at Lowell Custom Homes!